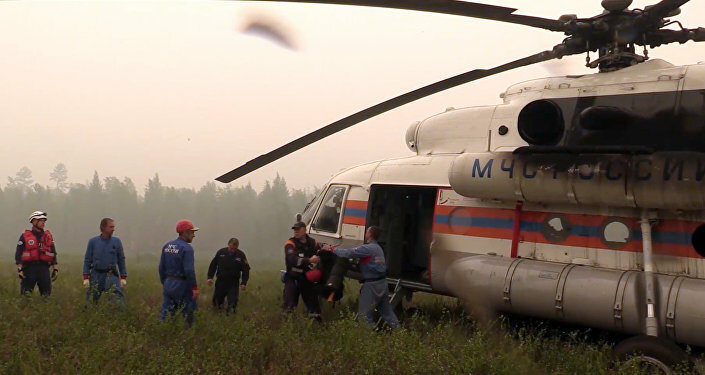 Investigators looking into Russia's firefighting Il-76 jet crash are leaning toward a human error scenario that caused the plane to crash into a mountain side, local media said Wednesday. MOSCOW (Sputnik) — On Tuesday, Russian Emergencies Minister Vladimir Puchkov said that black box transcripts did not reveal any technical glitches that could have cause the crash of the ill-fated Il-76. He added that investigations are continuing and the Interstate Aviation Committee (IAC, MAK), an airline safety watchdog, will make its results public. So far, the investigation revealed that the aircraft was flying at its minimum permissible height in a mountainous area of Russia' Irkutsk Region, the Kommersant newspaper reported, citing a source close to the investigation. The plane's highly experienced pilot misjudged the situation and chose the correct trajectory to keep the area's tallest elevation over 200 below the aircraft, but made a mistake in choosing the correct height and could not avoid an approaching hillside despite trying to gain height in the last seconds before the catastrophe, according to the publication. The minimum height was chosen due to the forest fire destination being located in a valley, the newspaper added.